Happy January! Holy cow, how is it already 2017? Lets take a poll on how many times ill write 2016 on all future documents. Seriously, time is flying by and I just want to enjoy every moment with my little family. I actually wore this outfit on New Years while we took the kids out to dinner and a movie. It was such a chill night, but I wouldn’t have had it any other way. 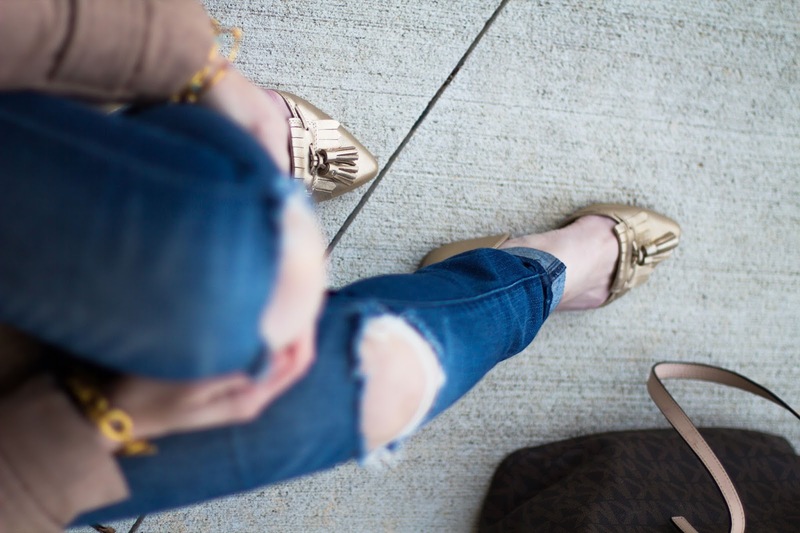 These gold flats were perfect for such an occasion. They gave my outfit a little bit of glamour for the new year, while still staying comfortable and practical for my busy mom life. My favorite part? They look expensive, without the hefty price tag! In fact, they are on sale for only $12! Payless has some amazing deals going on right now for the new year. Like these darling duck boots I wore here, on sale for only $25 and so much more! For more amazing New Year sales, make sure to check out this post!